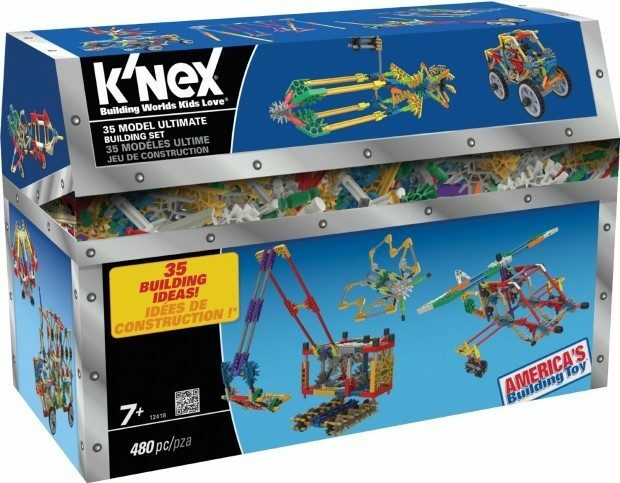 Whether you have birthdays coming up in the next couple of months or you’ve been waiting for the right price, head over to Amazon to get the K’nex 35 Model Ultimate Building Set Only $10.35! Down From $28! Shipping will be FREE on orders of $35+ or if you have Prime! Don’t have Prime? Start a 30 day FREE trial! Includes 35 model building ideas! 480 pieces to build planes, trucks, animals and amusement rides and more!